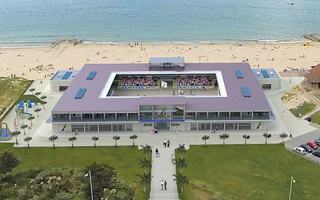 31.07.2015 England: Exclusive stadium for… beach soccer? The sport’s popularity is growing, but England is yet to have a national stadium for beach soccer. This may change if Eddie Mitchell gets his way in the country’s most exclusive resort. Scunthorpe United chairman Peter Swann has revealed when work will start on the new stadium, to be built to replace Glanford Park. Scunthorpe Telegraph report. So far it’s just a large crater. A deep pit if you will. 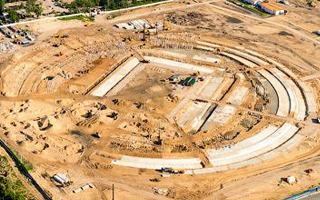 Already significantly filled with concrete, which you can see thanks to fantastic aerial photos from Slava Stepanov! 29.07.2015 USA: As Boston withdraws, who will bid for 2024? 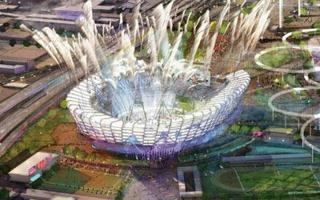 With one signature missing the Boston 2024 Olympic bid became effectively dead. Will Los Angeles be the replacement candidate? They’ve been using this place since 1900 and apparently want to spend decades more at Gran Parque Central. 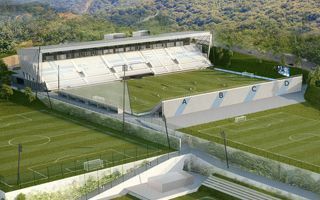 Nacional de Montevideo are launching a bold project to revamp their home. 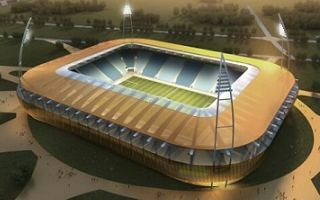 Poland’s third largest city is no longer a blank spot on the map of modern stadiums. First of three (!) new arenas was handed over on Friday and now awaits opening game. 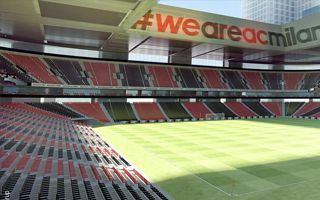 AC Milan proposes €30 million to Citroen who currently occupy half of the future stadium site. 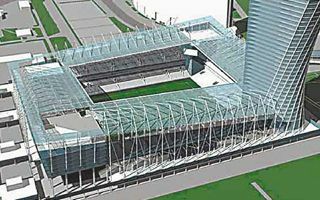 Meanwhile talks on detailed stadium project continue. 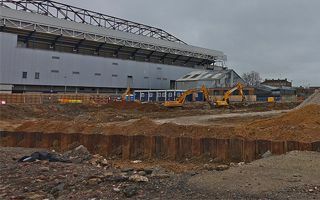 After two schemes leaving them without the desired new stadium, a third project is to be worked on. 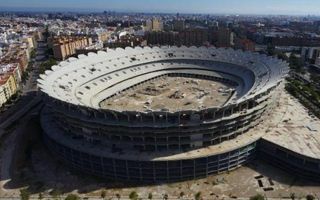 Valencia owner Peter Lim draws an inspiring, but controversial vision. 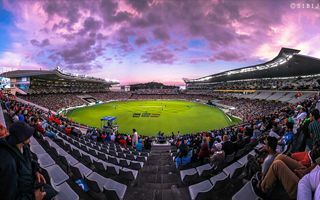 Auckland’s Eden Park arrives late at StadiumDB.com for its loose association with football. But since it’s such a legend in other sports, we had to have it! 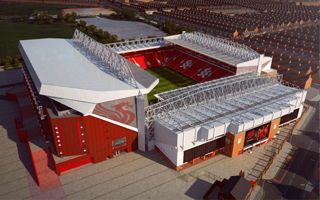 The scheduled work to lift the huge 650-tonne roof truss for Anfield’s new Main Stand has been postponed due to wind. Report by ThisIsAnfield.com. 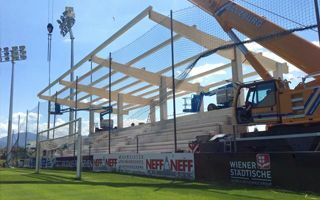 Seeing previous updates from Austria Salzburg’s stadium we had doubts whether they can meet the deadline. Now we have no doubts whatsoever. 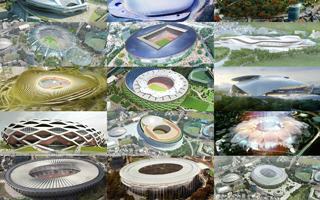 No major redevelopment since Euro 2000. So about time to change that, according to Standard president Bruno Venanzi. He wants 7,000 new seats in three years. First three levels of parking spaces, then two more with commercial outlets. Finally a stadium topping all other uses. That’s the plan in Dubrovnik, Croatia. It may not be an impressive stadium itself, but the latest Texas sports field signals change in American sports. Whether sceptics like it or not. Yesterday app. 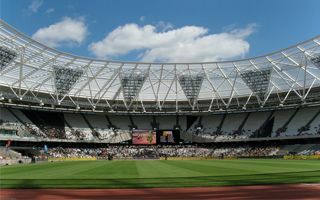 17,000 runners literally ran a test of the Olympic Stadium after its roof and stands were revamped. Having studied messageboards and social media, we consider the feedback positive. Construction works were on hold indefinitely. 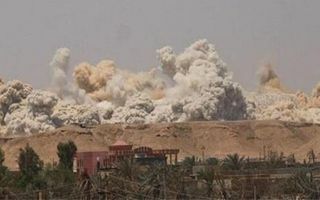 Now there will be no more works as Al Anbar Stadium was entirely destroyed with explosives. ISIS reportedly confirmed the building was used by Iraqi army. 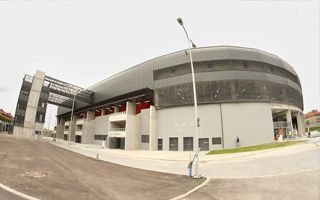 Today marked nearly two weeks since opening events began at Continental Arena. As this marathon ends, the only sad point is that it’s only a 4th league stadium. 19.07.2015 Miami: Beckham back on track with MLS stadium? 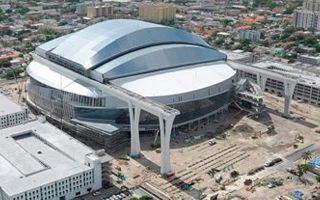 David Beckham plans to start negotiations with Miami to build his desired stadium next to Marlins Park, rejecting past concerns. A Miami Herald report. 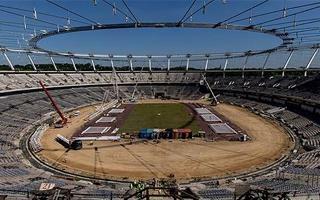 The Euro 2016 venue is undergoing a very rare replacement of all 36,000 seats after only two seasons. Those installed initially proved too weak to withstand football use. 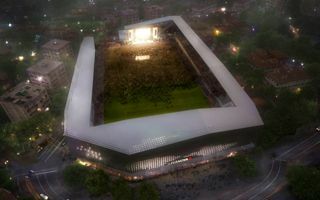 Take a look at the budget and you won’t believe it only buys a 9,595-capacity stadium. But why would Luxembourg want anything bigger? 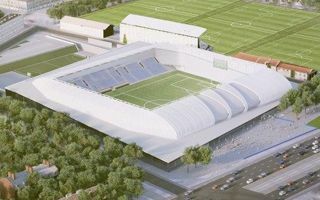 Less than a year should be enough time to build the brand new Nandor Hidegkuti Stadion in Budapest. 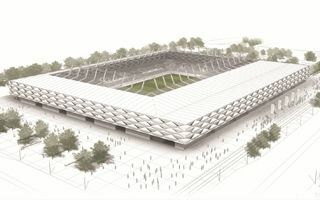 Summer of 2016 should bring one more new stadium in Hungary. 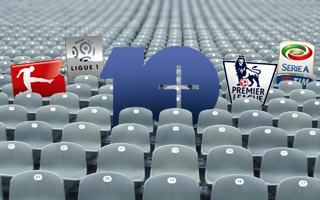 They’re already the most attended football club in Europe. 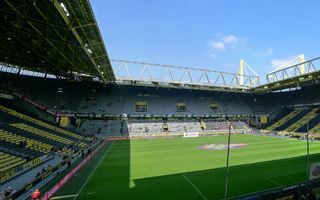 Now Borussia Dortmund want to improve their stats by converting additional seats to terracing. Just check the difference between January and July to realise just how fast this project is growing. 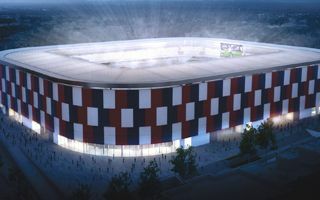 Rostov Arena reached 32% progress already, which we’ll now be showing you. Don’t expect scenes from “Hangover 2”, the football side of Bangkok is not as interesting as the city’s nightlife. That said, it’s still worth looking how Thai football is developing. 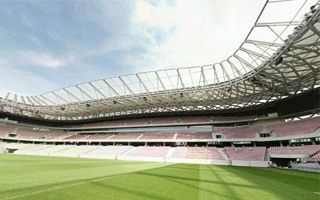 Polish energy provider PGE agreed terms with Stadion Narodowy. 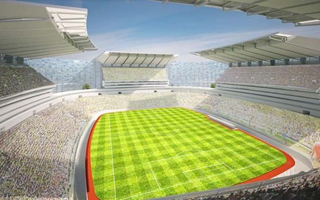 The new naming rights contract may be largest for any Polish stadium so far. 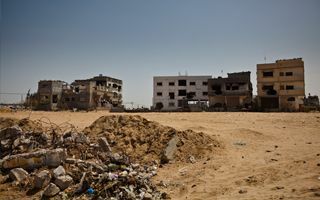 Upcoming years will see a brand new 20,000-seat stadium built in the Gaza Strip by Turkish authorities. The project was approved by president Erdogan. 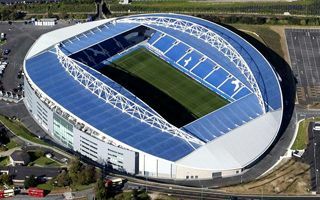 When the Championship season took a break in June, Amex Stadium was as busy as ever with 64 events held throughout that month. They ended last season at their historic home, serving for 100 years! 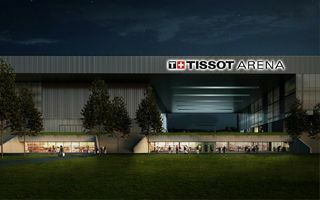 Now FC Biel-Bienne are moving to a new stadium, which is conjoined with two ice halls and a shopping centre. This is so Swiss! 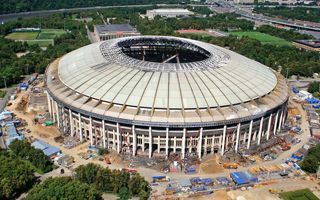 Half of the extensive foundation works was already delivered in Samara. 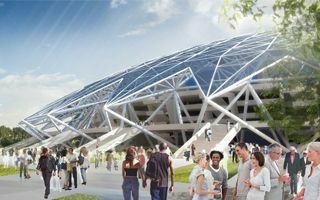 But as construction speeds up, the documentation of Kosmos Arena is expected to change. 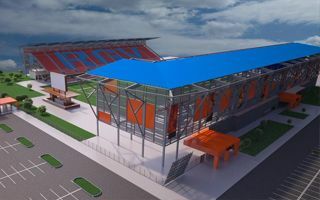 14.07.2015 Croatia: Few clubs will have reserve ground of this class! 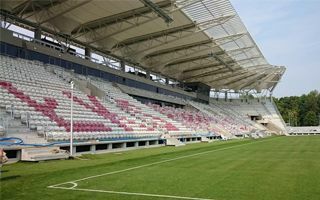 Whether you look in Europe or beyond, not many football clubs have a better secondary stadium than the new one in Rijeka, Croatia. About to open, this one has a double role. 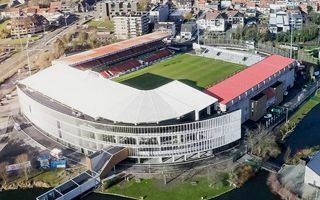 One new grandstand is already standing, one more may be ready as soon as September after Zulte-Waregem were given green light from the municipality. 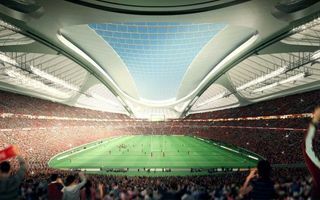 13.07.2015 New stadiums: NFL now complete at StadiumDB! 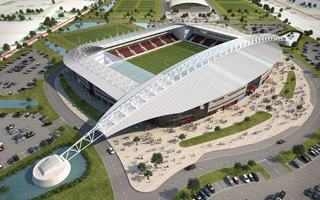 12.07.2015 England: Reading to add arena to Madejski Stadium? 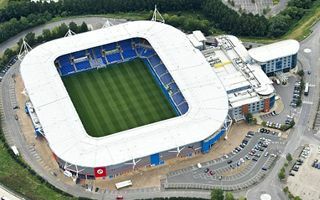 “It is no secret that most teams in the Championship don’t make money […] So we are looking to develop some projects around the stadium ”, says majority shareholder at Reading FC. 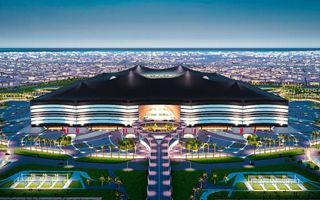 Qatari authorities selected the contractor for Al Bayt Stadium. 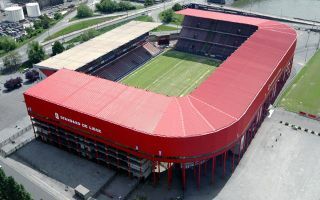 While it may look like a tent, the price is – as was expected from the start – far from modest: €770 million. 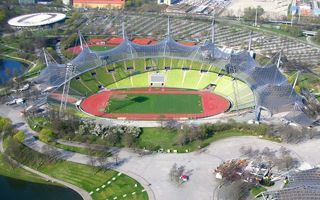 Some compared it to Allianz Arena, but that’s as loose as can be. The famous Estadio Cuauhtémoc is undergoing major change, which will enclose the building with tall foil wall. They only have time until mid-September, but are doing everything to meet the deadline. 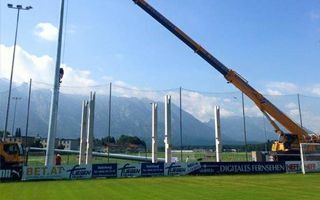 Austria Salzburg is installing floodlights and building a second grandstand at their current stadium. 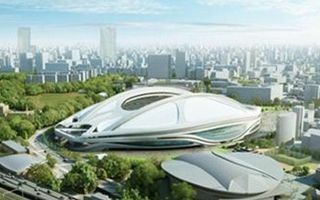 Recently this stadium appeared in Japanese media mostly as opposition to the shockingly expensive Olympic Stadium. And rightly so, because it represent quite the value for money one would expect. 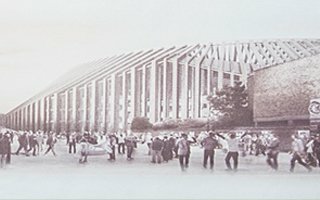 They say it’s just updated, but it’s an entirely new concept of the planned new stadium. 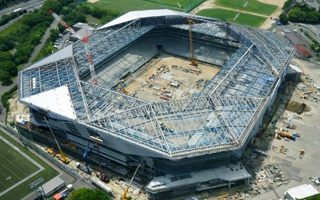 61,000 seats is just the tip of changes done to the initial bid from 2007. We’ve already seen the iconic vision of Hamburg. Now let’s check Boston’s bid to win the 2024 Olympics. 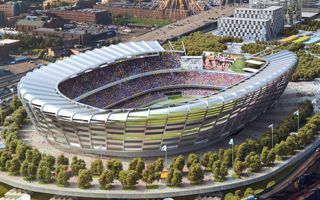 First ever entirely demountable stadium would be cheap, but… not really. 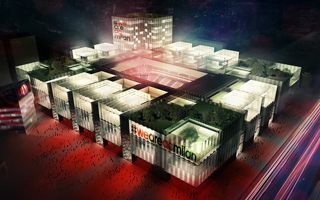 After prolonged waiting Fiera Milano Foundation confirmed AC Milan as preferred bidders for their exhibition site redevelopment. 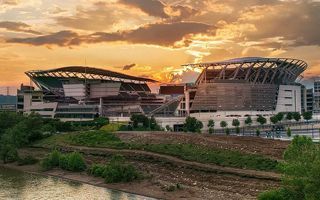 This opens the road to new stadium for 48,000 people. 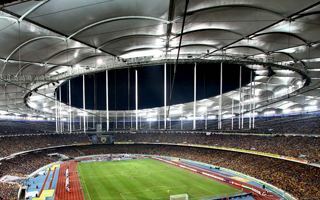 Malaysian government offers over $260 million for an “iconic idea” to improve the national sports centre in Bukit Jalil. 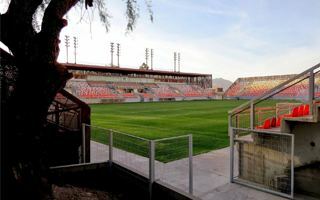 The main stadium is getting a renovation too. It may be an African tournament, but it’s almost entirely held in Chinese stadiums. 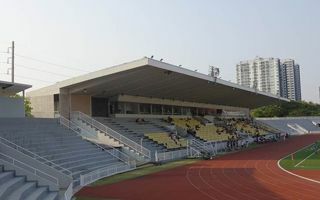 Over the past weekend Gabon signed deals for two more venues from China. 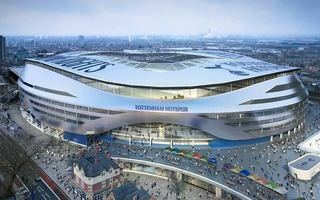 06.07.2015 London: Tottenham to increase planned stadium? 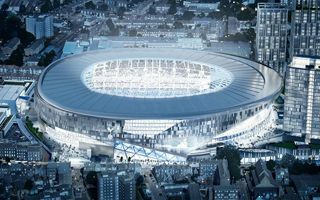 Latest amendment to the Tottenham stadium scheme includes capacity increase from 56,000 upwards. 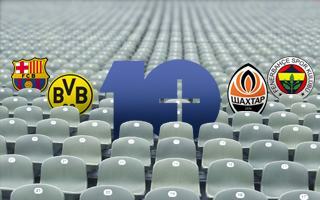 How many seats will be added? This depends on local council. 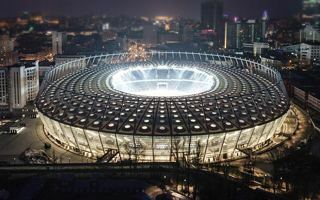 Ukrainian president Petro Poroshenko confirmed that the Olympic Stadium in Kyiv is officially bidding to hold the 2018 Champions League final. Will Ukraine get the much-needed event? Not only because it’s a good idea, the club was simply forced to. New Stamford Bridge will benefit from the historical layout of available land to squeeze in 60,000 people. 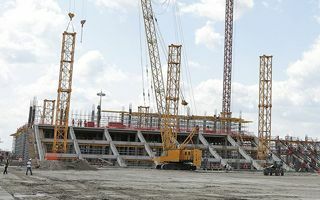 After four years of delays and preparations, the last two weeks brought a major milestone at Stadion Śląski. The 55,200-capacity stadium is on its way for delivery, but not quite yet. 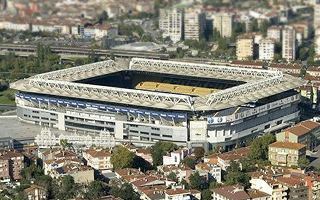 01.07.2015 Istanbul: Fenerbahçe to gain its first naming rights contract? 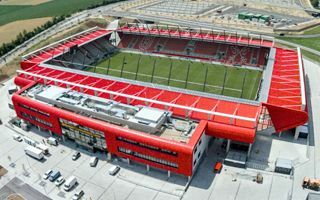 After nearly e decade since opening their rebuilt stadium, the famous Turkish club is about to sign a lucrative 10-year deal for its home’s name. 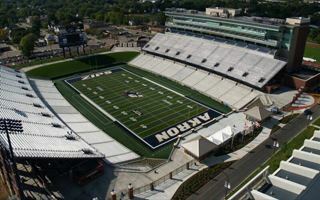 University of Akron is the talking point in many American media as their football team was ranked at the very bottom of NCAA Division I in terms of crowds. They actually buy their own tickets to artificially increase attendance.